If you’re going to get yourself a new electric toothbrush, it only makes sense to get the best model from the best brand, right? After all, if you’re going to spend your hard-earned money, you need to be extra sure of your purchase. 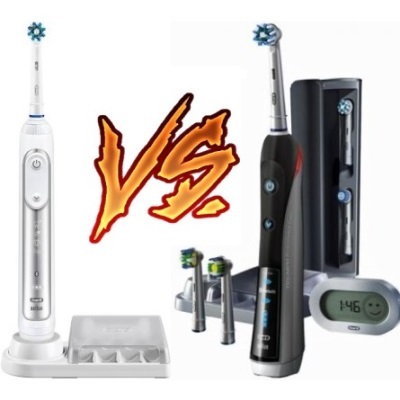 So, in comparing Oral B Pro 5000 vs 6000 vs 7000, which should be your top choice? You don’t have to spend a lot of time or jump from one review to another just to find the answer. Below is an in-depth review of each model that will help you come up with the best buying decision. 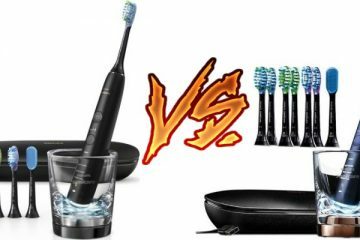 Oral B Pro 5000 vs 6000 vs 7000 – Which Is The Best? 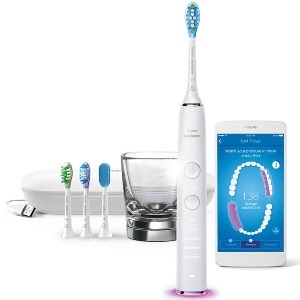 Oral B Pro 5000 takes electric toothbrushes to a whole new level. With Bluetooth connectivity, it has its dedicated smartphone app to help you keep track of your oral care. It even has a way to motivate you to stick with your home-care routines. You can think of it as a fitness tracker but only for your teeth. For example, once you start your brushing session, the app will display a timer showing a 2-minute goal. The brush will vibrate every 30 seconds to let you know when it’s time to move on to the other areas of your mouth. After brushing, it’ll remind you to floss your teeth, brush your tongue, and rinse with a mouthwash after. All the data of your last 20 brushing sessions will be recorded in the app which you can review later on. You can also add the contact details of your dentist. That way, you can use the app to call or schedule an appointment. Your dentist can even set the app’s reminders, custom timer, and focused care based on your personal needs. Take note, however, that the app only works for one person. This electric toothbrush features 5 different brushing modes- Tongue Cleaning, Daily Clean, Deep Clean, Massage, and Sensitive. These modes are essential in keeping your oral health in top condition. Additionally, the brush features a pressure sensor which can let you know if you’ve been brushing too hard. A red light will flash as a warning. This is an essential feature since aggressive brushing can lead to serious dental problems, including gum recession. The electric toothbrush comes with several additional brush heads which is great since it’s recommended that you change your toothbrush every 12 weeks or earlier than that if your brush looks worn out. As for the battery, it can last up to 10 days on a single charge. Remember not to overcharge it as that can decrease the lifespan of the unit. The stand comes with a covered storage which you can use to keep 8 brush heads. And if you’re planning on traveling, there’s a travel case that can store the handle and 2 brush heads. 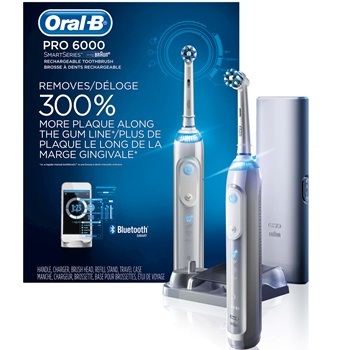 Oral B Pro 6000 is reliable when it comes to providing a comprehensive clean. It’s able to address the different areas of your mouth so you’ll feel cleaner and fresher after each brush. The design of this electric toothbrush is fairly standard. Its handle and brush head are white in color while its faceplate has a silver tone. On the faceplate, you’ll find two buttons. One is for shifting from one mode to another while the other one is to power up its handle. Below the button, you’ll find small symbols which represent the different brushing modes. At the back of its handle, you’ll find a white rubberized textured grip. This helps ensure that the handle won’t slip off of your hands even when wet. As for the brush heads, it’s professionally inspired. Its round head is designed for tooth-by-tooth cleaning while its criss-cross bristles have a 16-degree angle to really reach plaque in between teeth. 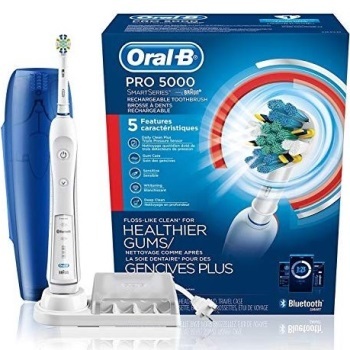 Similar to Oral B Pro 5000, this model also features Bluetooth connectivity. Its app can let you set goals and keep track of your stats. It can even let you achieve the recommended 2-minute brushing time. The unit is not particularly noisy. However, if you’ve just transitioned from a manual toothbrush, you might find it a bit loud. As you continue using it, you’ll find it less and less bothering. It just takes some time getting used to. Once fully charged, this electric toothbrush can last for up to 12 days. It has a battery display that indicates when it’s finally time to charge the unit. To make sure that the battery is able to keep its maximum capacity, try to use it until it’s fully discharged. You can do this once every 6 months. 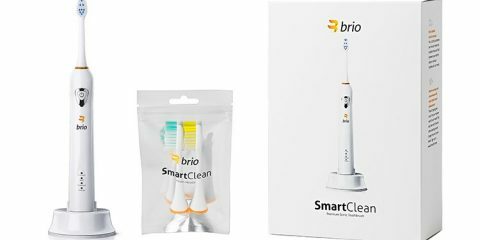 Smart device integration, a variety of toothbrush heads, and Bluetooth- these are just some of the features you’ll get from Oral B Pro 7000 which is why it’s considered an extremely high-end toothbrush. It has most of the features you could dream of. This electric toothbrush has a 3D cleaning action which enables it to clean your teeth 2x better than your regular, manual toothbrush. It has 6 cleaning modes- Massage, Tongue Clean, Whitening, Massage, Daily Clean, Deep Clean, and Sensitive. The whitening and sensitive modes are the new addition to the SmartSeries and they prove to be really valuable in boosting one’s oral health. The whitening mode works really well in making the teeth naturally white by removing the stains on the surface of the teeth and gently polishing them. The sensitive mode, on the other hand, is suitable for people struggling with a weak gum line. It gently massages the gums to increase blood flow and to make the gum tissues stronger. The unit is compatible with the rest of the brush heads belonging to the Oral-B range. If those brush heads aren’t enough, you can always buy a separate one. Oral B Pro 700 has a larger handle but it offers a really nice and comfortable grip. It’s not the type to make you end up with numb fingers after 2 minutes of brushing your teeth. With regular use, (2 minutes, twice a day), the unit can last up to 10 days on a single charge. Charging can take as long as 12 hours which is a bit long. It’s not that convenient if you have to charge your toothbrush the night before a really early flight. It comes with a vertical flat charging station so you can keep everything in the kit neat and organized. It even has a brush head storage to ensure that your toothbrush won’t accumulate bacteria. One look at the product and their features won’t be enough to help you come up with a final buying decision. For that matter, here’s a closer look at the key differences of each model. Oral B 5000 and Oral B 6000 only have 5 cleaning modes. While those should be enough for daily use and addressing the common oral problems, Oral B 7000’s 6th mode makes it so much better. Its Tongue Cleaning Mode helps eliminate the bacteria accumulating on the surface of the tongue. Using it should help freshen your breath, reduce bumps, lessen discoloration, and prevent sores. Additionally, it also helps avoid dry mouth which is a common cause of plaque build-up, development of yeast infection, and having split skin right at the corners of the mouth. Each handle has a unique purpose. The Oral B 5000, for example, focuses on removing plaques along the gum line. This prevents enamel breakdown and tooth decay in the long run. Oral B 6000, meanwhile, is great for whitening the teeth. Oral B 7000 is focused on tooth-by-tooth cleaning to help you achieve your healthiest set of teeth. It prevents your teeth from turning yellow and reduces plaque build-up. It’s Pulsation/Oscillation technology can also remove stains and polish your teeth. All three electric brushes can last days on a single charge. The one with the longest battery life, however, is the Oral B 6000 which can work up to 12 days of regular use. Take note that the battery time of these brushes can lessen depending on how frequent you are using them and how long each brushing session lasts. When it comes to accessories, there’s actually very little differences between the three products. All of them come with a travel case and a stand. Oral B 7000, however, has a different travel case since it also doubles as a charging station. You can use it to charge your phone and your toothbrush at the same time. This is a really handy feature if you travel a lot and you tend to forget your phone’s charger in hotels. All three electric toothbrush models have a pressure sensor that can let you know if you’ve been brushing too hard. While it’s not a critical factor to consider in buying an electric toothbrush, it’s nice to have for safety purposes. Whether you’re new to using electric toothbrushes or you’re helping your kids learn how to use one, you’ll find the feature extremely handy. Each model utilizes a different brush head to get the job done. The 5000 model relies on a vibrating head to achieve advance plaque removal around the gum line. The 6000 model, on the other hand, has a rounded brush to remove more plaque than usual. The 7000 model can do what the other two models can do but with more finesse. It cleans the teeth with its CrossAction brush with a 16-degree angle. Technically speaking, these two brushes aren’t that different. In fact, they are similar in a lot of ways. However, if you really need to choose between the two, I’d say go with the 6000 model. This electric toothbrush is a lot more stylish and practical to use. Plus, it’s lighter and feels smaller in hand. Additionally, between these two models, Oral B 6000 has a longer battery life. It can last up to 12 days while the 5000 can only work for 10 days on a single charge. That’s based on a single person using the toothbrush twice a day for about 2 minutes. Oral B 6000 also has a smaller battery despite having more power. That’s thanks to its Lithium-Ion batteries. Speaking of power, the newer model offers more oscillations (10,500) and pulsations (48,000). Now, this difference is only noticeable if you use the brush side by side. You’re probably going to experience the benefits more if you use consider long-term use. Both brushes have 5 cleaning modes. They also have a 2-minute timer to guide you of the proper brushing time and a 30-second pacer to let you know when it’s time to switch sides. There’s also a pressure sensor on both brushes to let you know when you’re brushing too hard. In the 5000, you’ll find a panel on the rear end of the brush handle that’ll turn red to alert you. In the 6000, it’s the LED SmartRing that’ll light up as a warning. The Oral B 5000 and 6000 are both water resistant. You can rinse them under a tap without worrying about damaging them. Of course, you need to avoid exposing them to water for a long time as that can definitely harm the device. When it comes to traveling, these brushes have plastic travel cases that can store 2 brush heads. Although they are basic in design, they can protect both the handles and the heads from damage and accidental activation. 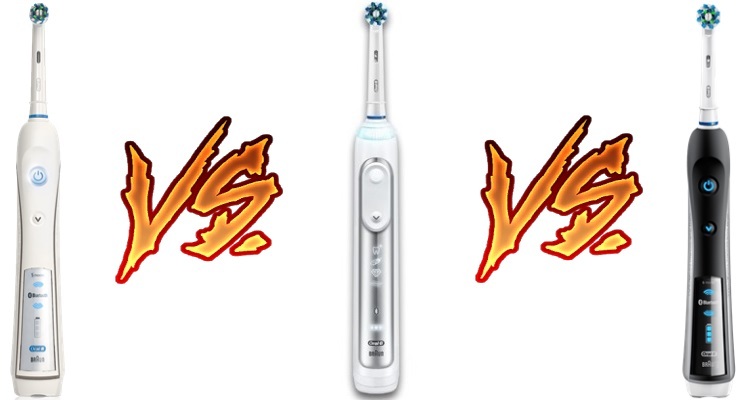 Taking a closer look, the Oral B Pro 7000 is the better choice between the two despite it being the older model. It’s bigger, heavier, and its battery life doesn’t last too long. It does, however, have a really nice travel case, brush heads, and wireless timer which make it the winner. Speaking of battery life, Pro 6000 can last for up to 12 days. Pro 7000, meanwhile, can only last for 10 days. This is because of the older battery technology it uses. While its Nickel Hydride battery works well, it makes the toothbrush heavier and larger. Another difference between the two is the way they look. Pro 6000 looks modern and has a slimmer profile. It has a series of icons that light up so you’ll know which mode you’re using. 7000, on the other hand, features rubber grips on both its front and rear sides. It feels comfortable and its chunkiness feels reassuring on the hands. The 6000 is only available in white while you can get the 7000 in either black or white. If you are particular about colors, this is something you have to consider. Both models have a pressure sensor that lights up red whenever there’s excessive pressure applied to the teeth while brushing. On the Pro 6000, the LED Smart Ring replaces the older rear mounted pressure sensor. This LED Smart Ring works in an interesting way. It illuminates 1 of 12 different colors based on what you want. If you apply too much pressure, it’ll turn red. These features make the brush a lot trendy and personal. Now, for the cleaning modes. The Pro 6000 has 5 excellent cleaning modes while the SmartSeries 7000 features 6. The older model has Deep Clean whereas the newer model has Pro-Clean. The upgrade is so much better in several aspects. Additionally, 7000 also features a tongue cleaning mode which is great for reducing bad breath. It uses low power and runs for 20 seconds only. Pro 5000 is a good toothbrush but if you’re going to spend money, why not spend it on something that has more edge? 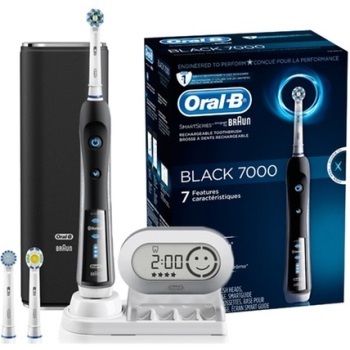 Pro 7000 has almost everything you need in an electric toothbrush. The sad part is that it comes at a higher price than the 5000. 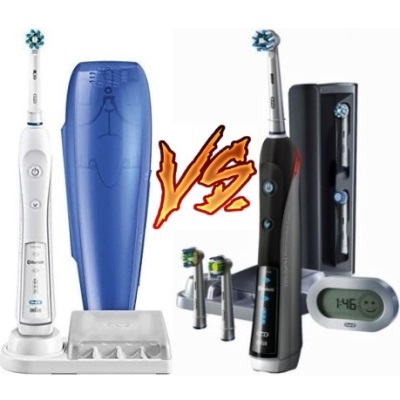 Let’s start this Oral B Pro 5000 vs 7000 comparison with the most obvious difference. The 5000 is only available in an all-white color. The SmartSeries 7000, on the other hand, is available in white and in a black and silver combination. This makes the 7000 the sleeker and more modern looking option. The two models come with a charging stand, a brush handle, and a brush head compartment that can hold 4 brush heads at once. The travel case is where they’re different in this aspect. The travel case you’ll get with the 5000 is basic. It’s obviously made from thin and cheap plastic. Despite that, it can still resist impact and prevent accidental activation. The 7000’s case looks and feels more premium. In fact, it really looks smart. It’s thick, heavy, and more robust. For the brush heads, you’ll get the CrossAction and FlossAction brush heads. If you decide to get the 7000, you’ll get the Sensitive, ProWhite, and CrossAction. When it comes to the cleaning mode, the 7000 comes with something extra- the tongue cleaning mode. It lasts for 20 seconds and works really well in cleaning the surface of the tongue as well as the inside of the cheeks. These two areas are prone to harboring bacteria and germs that can make your breath smell bad. So, which does a better job? Both models are effective when it comes to cleaning performance. They have the same motor, oscillations, power, and pulsations no matter what cleaning mode you choose. If you are on a tight budget, you can go with 5000. You can use any mode to clean your tongue. However, if tracking is hard for you, go with the model with the Smart Wireless Guide. The answer to this question will depend on what you want to achieve with your next electric toothbrush. For example, if you are looking for an electric toothbrush that can really clean your teeth, you can go with the 5000. It might not have a lot of features but it can still get the job done. If you want whiter teeth, get the 6000. Now, if you want to get a cleaner and whiter teeth, choose the 7000. It might cost you more but the extra bells and whistles that come with it make it worth every extra cent you spend on it. 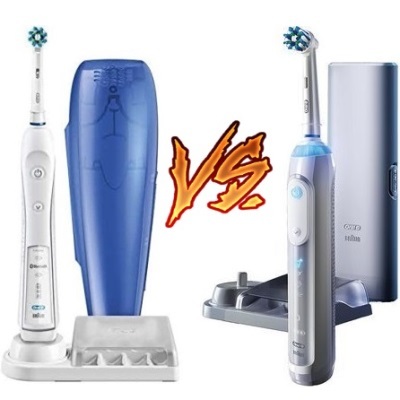 Choosing between Oral B Pro 5000 vs 6000 vs 7000 is hard. After all, these three models can give you cleaner teeth and fresher breath. No matter which you choose, however, make sure that you pick one based on your needs. You don’t really have to buy the most advanced model if you’re not going to use all its extra features. It’s better if you settle with a brush that can perfectly meet your dental needs. That way, you’ll be happy with whatever price you pay. 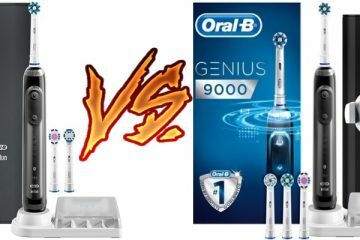 Oral-B 8000 vs 9000: Which Works Better?